In the past, Northwest Coast culture was defined largely by artifacts housed in museums; but even when these pieces were first being collected in the late eighteenth century, there were some people who considered them to be works of art. At the beginning of this century, a group of artists in Paris, including Picasso and Matisse, began to collect and be inspired by African sculpture. Their interest launched a reappraisal of so-called "primitive" art in general and in 1919 led to the first commercial exhibition of such art, in Paris. A year later there was another show at the Burlington Fine Arts Club in London, including a significant number of Northwest Coast items. The first art exhibition devoted solely to Northwest Coast pieces was held in the mid-1920s by the Denver Art Museum in Colorado, followed in 1927 by an "Exhibition of Canadian West Coast Art, Native and Modern" at both the National Gallery and National Museum of Canada. In the 1930s there was a show of North American Indian art in New York and another in San Francisco as part of the 1939 Golden Gate Exposition. This growing recognition of artifacts as art was validated in 1941 when the Museum of Modern Art in New York held a historic exhibition titled "Indian Art of the United States," including a number of Northwest Coast pieces. Two years later, in additional confirmation, Claude Levi-Strauss wrote an article called "The Art of the Northwest Coast at the American Museum of Natural History" for the Gazette des beaux arts: "Surely it will not be long before we see the collections from this part of the world [the Northwest Coast] moved from ethnographic to fine arts museums to take their just place amidst the antiquities of Egypt or Persia and the works of medieval Europe. For this art is not unequal to the greatest, and, in the course of the century and a half of its history that is known to us, it has shown evidence of a superior diversity and has demonstrated apparently inexhaustible talents for renewal." No doubt inspired by the show at the Museum of Modern Art, some refugee Surrealist artists such as Max Ernst and Andre' Breton started to collect Northwest Coast art. Young American artists of the Abstract Expressionist school such as David Smith, Mark Tobey and Barnett Newman were also excited by Northwest Coast art, and in 1946 they persuaded Betty Parsons to hold a show called "Northwest Coast Indian Painting" at her avant-garde gallery in New York. In the catalogue, Newman wrote: "There is an answer in these works to all those who assume that modern abstract art is the esoteric exercise of a snobbish elite, for among these peoples, abstract art was the normal, well-understood, dominant tradition." In 1967 the Vancouver Art Gallery held an important exhibition titled "Arts of the Raven: Masterworks by the Northwest Coast Indian," a forerunner of many shows and books that testified to the recognition and popularity of the art. The artists of the Northwest Coast have played an important part in the revitalization of their culture. Their study of the traditional artform and efforts to document its history sparked a rebirth of ceremony, with the attendant songs, dances and protocol, as they became aware of the connection between art and ceremony. Haida artist keg Davidson confides in A Haida Potlatch, a book by Ulli Steltzer, that "The first Eagle headdress I carved didn't fit on anybody's head. It wasn't until I learned how to dance that I understood the art. Next time I did an Eagle headpiece, it had a purpose; it could fit on a person's head and be used for dancing. It wasn't heavy like the first one either." The increase in cultural activity coincided with the political awakening of native peoples in Canada and around the world. From both outside the culture and, more importantly, from within, there was a strong perception that the culture was alive and growing and could survive culturally and politically. The major concern today of the Northwest Coast community is its continuation, recognizing the strengths of the past but deter-mined to direct its own future. As Haisla artist Lyle Wilson explains in his artist's statement in UBC Museum of Anthropology Museum Note No.28, published in conjunction with his exhibition "Lyle Wilson: When Worlds Collide." "My works speak a visual language, one that I hope reflects my search for answers to the questions by all people seeking personal growth. Some of my work is called traditional and some more contemporary. These two labels are inadequate-perhaps irrelevant-in their description of the artistic process. I believe my best work takes account of the past, present, and future tense." Those who collect Northwest Coast art today do so because they empathize with it on many levels. On one level, they are touched by and respond to the power of the work itself; on another level, they are giving implicit support to what the artists are striving for with their art and their cultural activity. The artists of the Northwest Coast serve as ambassadors of a living and evolving culture, and their work speaks not only to audiences outside and within that culture but also to a deep inner core of feeling in all of us. The people of the Northwest Coast were essentially animist in their beliefs and considered that every living thing and natural element had a soul, a purpose, and was deserving of respect. Some of the images in their art were an acknowledgement of the power of the natural world of which they were a part. An example of the respect they had for the world around them and the consequence for those who violate this rule is the story of Volcano Woman. She destroyed an entire village to punish it for the wanton killing of a frog; it was considered acceptable for people to kill for food or clothing but not for the thrill of killing. Art was an intrinsic part of all Northwest Coast cultures, a part of everyday as well as ceremonial life. "Art was one with the culture. Art was our only written language," is how Haida artist Robert Davidson explained it in the book Robert Davidson: Eagle of the Dawn, edited by Ian M. Thom. As Northwest Coast societies had no written language, all cultural information was passed down through oral tradition and visual documents such as masks and totem poles. The imagery used on masks and poles includes creatures from the natural world (Eagle, Killer Whale), natural elements and forces (Moon, Weather) and humans. Other images are manifestations of the spirit world; they represent supernatural beings. Some creatures, like the Raven, belong to both the natural and spirit worlds. The Haida nation, for example, has many stories about Raven, a prominent supernatural being who could change form. Raven would appear in different villages in different guises-animal, human or bird-and, through his inherent curiosity or sense of mischief, alter the circumstances present in that village. Among other things, Raven brought light to the world and the idea of the house. Many of these beings were adopted as crests, or symbols of identification, by clans or families or even individuals. The clan is a subdivision of the tribal group. the number of clans varies from tribe to tribe, and a clan will own a main crest and a number of subcrests. These clan crests such as Eagle or Raven serve as reminders of events in the history of the clan. Crests are associated with stories owned by a clan or family; these often relate to the adventures of particular ancestors and describe how the rights to crests, names, songs and other privileges were obtained. The display of crests on poles and on masks and regalia at public ceremonies confirmed ownership of them, defined the territory in which the crests were valid, and brought the power associated with the crests to life. A family of the Eagle clan would draw on the powers of the Eagle, both in its natural and mythic sense, to define them as a group in relation to others. Robert Davidson tells a story that his grandmother told to him about a young man preparing for his initiation into manhood by fasting and purifying himself in the forest, in order to get in touch with those powers that would define his adult identity. Eventually he returns to the village and enters the ceremonial hall. He dons the spirit mask and performs the dance as it was revealed to him during his time in the forest and becomes human. When he finishes the dance and removes the mask, he is no longer a boy but instead is an adult. Masks are documents that embody tribal divisions and mythology, as well as the rights of their owners. The rights to use particular masks are highly regarded; masks and crests are important pieces of property that can be acquired not only through inheritance and marriage within a tribe, but by marriage between members of neighboring tribes. Sometimes masks were presented to a visiting chief who had earned the honor through good relations with the host of a feast or potlatch; the reasons for giving the mask were publicly stated at the time of presentation. Masks are an important part of ceremonial life; they make the supernatural world visible and bring it to life in dance dramas. In the past, these were performed at feasts or as part of the complex ritual that has become known as the potlatch. They were also performed by dance societies during the winter, when bad weather made travel and hunting or fishing difficult, and people lived on the food that they had preserved by drying and smoking. The term "potlatch" means "to give," which refers both to the giving of oneself as well as the giving of gifts. Feasts and potlatches are meetings of chiefs and high-ranking people of a tribe, brought together by an individual or family to witness its claims. A traditional feast or potlatch lasted between several days and several months, depending on the size of the host family, the agenda and the time that had passed since the last one. They were winter events, and the preceding year or more was spent in securing enough provisions to feed the host village and the guests for the duration of the ceremonies and in amassing goods to give away as gifts in payment for witnessing the event. At the end, masks were sometimes burned in a display of wealth or to protect cultural information. Today, the feast or potlatch has a much more compact schedule. The ceremonies now take place in a single evening or a weekend, but a modern feast or potlatch is still a major undertaking. 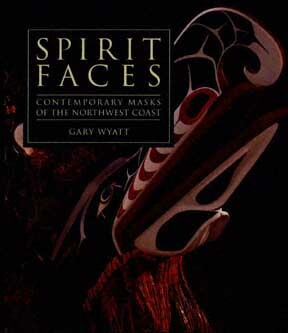 The work of organization and preparation, to say nothing of the expense of food, gifts, and commissioning masks and other ceremonial pieces, is an indication of the continuing importance of the feast or potlatch in maintaining and defining Northwest Coast culture. The invited audience is there to bear witness to particulars such as claims to the rank of chief, names, crests, property (masks, songs, stories and dances), and the rights to specific uses of territories (fishing rivers, berry patches), as well as to validate the transfer of rights by marriage or inheritance and to acknowledge deaths. All the names, crests, rights and property being claimed are displayed or described, all the songs are sung, and all the masks are danced. The guests are considered to be more than just an audience; by watching and acknowledging what each ceremony entails, they are participants and are rewarded. Each guest is "gifted" by the host family, and guests of high status are given elaborate and valuable gifts. By accepting the gifts, the guests understand that they may be called upon at some later date to restate the information that they have been paid to remember. The dancers who performed are also recompensed in some way or are fulfilling tribal obligations. Other families are often honored by the invitation of the host to dance their masks. This defines who they are in relation to the host and gives them the opportunity display their power and the skill of their artists. In the past, winter was also the time for dance rituals, whose number and complexity varied from group to group; the Kwakwaka'wakw had very theatrical presentations as well as an elaborate organization of dancing societies, whose leaders controlled the ceremonies, including the initiation of novices. One important dancing society was the hamatsa (or cannibal), whose members performed a complex dance cycle that lasted four days. The dance used a large cast of characters to tell a story about a cannibal monster and his three attendant bird monsters who ate human flesh. A second dance society was that of the War Spirit. This society's most dramatic character was a tuxwid, a female warrior, who was killed and returned to life four days later. Ghost dancers wore masks representing skulls, which also referred to the themes of death and revival. A third dance society was the Atlakam, which used up to forty masked dancers to tell a story that detailed the tribe's history and access to knowledge from the spirit world. This dance series also described the workings of the universe, with each character representing one component of the natural and spirit worlds. Performing this dance gave a shape and perspective to the unknown and provided a sense of the cosmic order. Different families had the rights to the masks used, thereby creating a dependence on the other families to supply the pieces of the puzzle to perform the dance. After the masks were used at four successive events, they were destroyed by burning and new ones were made. The members of a fourth dancing society wore masks representing family crest myths, of beings such as Kumugwe', chief of the undersea, or Thunderbird, or elements of nature such as the Moon, Earthquake and Weather. Some of the oral histories and the masks that document them are accounts of shamanic experiences. Shamans had control over supernatural powers and could use these powers for good or evil. Shamanic power was not necessarily hereditary but could be gained by a person through direct contact with the supernatural. There are also portrait-style masks that often represent the personal history, events or experience of the artists or the people who commissioned them. The most elaborate masks are transformation masks. They are used to display the transition from one form to another, as told in myths, such as Wolf to Man, or Raven to Man, or Bear to Man. The transformation mask consists of a mask inside a mask. It is a dramatic device made possible by technical ingenuity, using hinges and string. At the high point of the dance, the dancer will tug on strings that pull apart sections of the outer mask to reveal the one inside. The dancing of a mask is a serious matter. In the past, an error or accident in the performance was a serious breach of protocol that might have a devastating effect on the dancer, artist or even the entire village. The myths and stories associated with masks and crests all have numerous, sometimes very different, versions that serve to delineate distinctions between tribes, as well as between villages of the same cultural group. Nuu-chah-nulth artist Joe David explains: "Take, for instance, a carver's brief description of a character, any character, say Wild Man. Each Wild Man has a distinct personality and, in fact, because of the depth of his spirituality, has a very multidimensional personality, a very rich and broad personality. A person could live to be very old and hear many, many stories and attributes of Wild Man. So to simply say a mask is Wild Man of the Woods is basically meaningless." The artist who creates or is commissioned to produce a mask knows that each being is defined by certain stylistic traits, though innovation and creativity are encouraged. Since the artist understands the necessity of representing both the external appearance of the character as well as its internal spiritual force, new interpretations of the character revitalize the image from within.